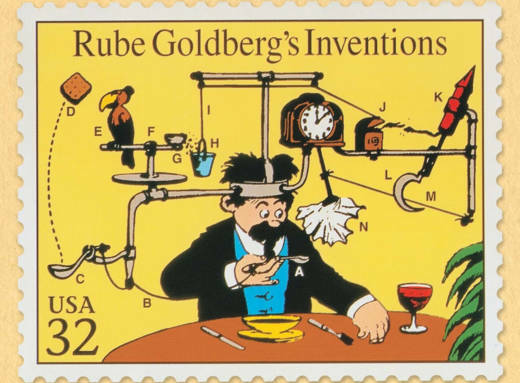 Rube Goldberg grew up in San Francisco and became one of the world’s most famous cartoonists in the 30's and 40's -- an era when everyone read the funnies in their daily newspapers. He was especially well-known for his slapstick invention cartoons, which mocked the schematics used for patent applications. In Goldberg's case, he would create the most complicated and silly way of doing the simplest thing, like toasting bread or licking a stamp. 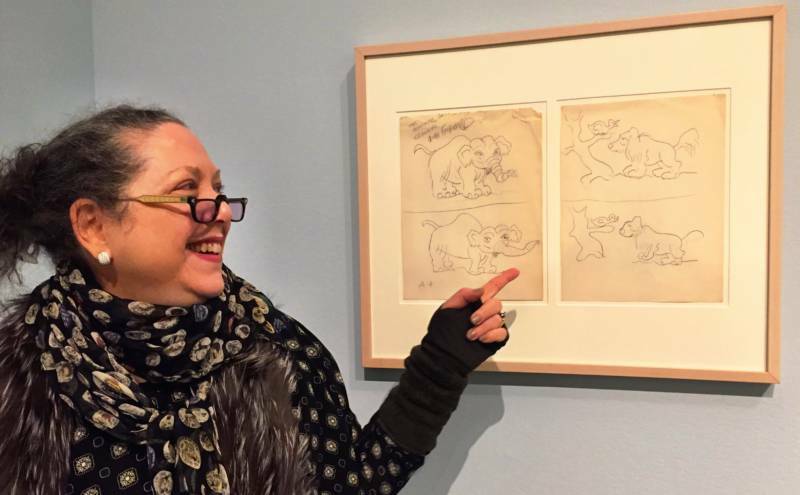 Now Goldberg's invention cartoons and more of his work are on display at a new show at the Contemporary Jewish Museum. My co-host, arts administrator Tomás Garcia, says he was really taken by the deep sense of satire in the invention drawings. When he was director of experience at the Children’s Creativity Museum, he used to host regular events for kids in order for them to create their own Goldberg machines, allowing them to study innovation and chain reaction. We both agreed the CJM show is a good one for kids. "He said, 'they’re really not machines. They’re really satirical representatives of progressive nothing.' Which is very Dada. Very out there." In the 1940’s, Goldberg took up political cartooning and won the Pulitzer for a piece showing a little house with a picket fence balanced on a giant atomic bomb, tipping into a pit labeled world destruction. 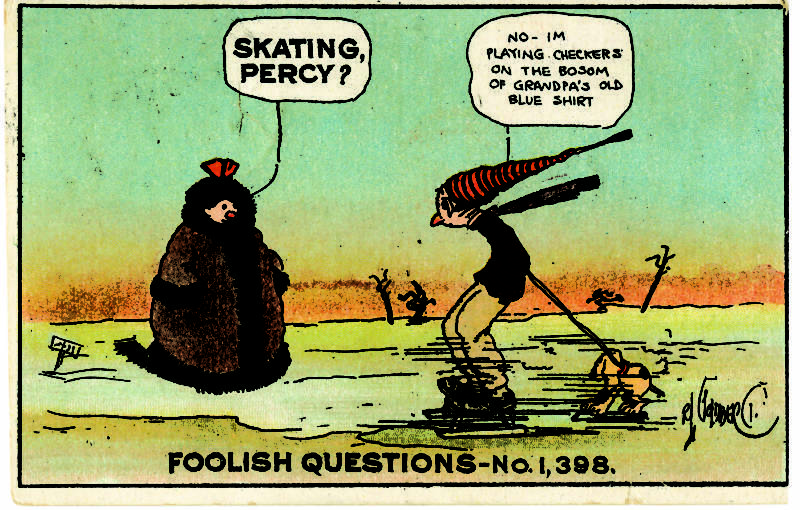 George noted that the comic is timely today. "I think he was smart and visionary enough," she said, "to know that man’s desire for efficiency, and ability to use technology, might not be to our advantage. And I think that drawing represents that, because we really are at this precarious moment in time." The Rube Goldberg show continues at the Contemporary Jewish Museum through July 8. Details here.